Your specialist tour operator for the best tours and safaris to Southern Africa! Congratulations, you have come to your one-stop-shop for the greatest tailor made safari holidays available. We create tailor made safari tours and packages specifically for you where the focus lies on having a genuine African experience, rather than a rushed sightseeing tour. Tailor Made Safaris offers guided tours where you have to do nothing else but enjoy yourself, but also slightly more budget friendly self-drive tours where you drive yourself from A to B in a rental vehicle, and then enjoy guided activities at the destinations. At Tailor Made Safaris, our friendly team is here to make life easy for you. Instead of giving you hundreds of options to choose from, we have personally selected our favourite holiday destinations Southern Africa has to offer.Our interactive map lets you create your own Tailor Made Itinerary with just a few clicks of your mouse! smart filter our website will show you only the options that are relevant for you, so it is easy to select the tour that is your best fit. You simply let us know which tour you are interested in and if you would like to make any changes to it, we then create the perfect tailor made safari holiday for you! Why choose Tailor Made Safaris? There are many tour operators offering tours to Southern Africa, how do we know we are the best? We offer a successful travel formula that means that we listen to your needs and create the perfect tour specifically for you. Would you travel through entire Europe in 2 weeks? Driving hundreds of km on highways? No? Then you won’t enjoy doing the same in Africa! Check it out here! Truly experience each destination you visit, and find time to relax. You are on holiday after all! Travel in style to lesser known destinations. Often more authentic, personal and cheaper these contribute to your experience, while keeping the trip affordable. Your entire safari trip with us is carbon neutral, as we offset all carbon dioxide emissions through an approved organisation. We make very clear quotes. You will know from the start exactly what is and what is not included in the price of your tour. We are famous for our balanced yet diverse program that blends safaris with exciting activities and a sprinkle of culture. Being based in South Africa allows us to have far less overheads than our international competitors. Let’s keep your wallet happy! We are proud to offer our self-drive guests the world’s most comprehensive self-drive travel package available! Preview your self-drive pack here. on the ground personalised support. What type of tours do we offer? Tailor Made Safaris offers fully guided as well as self-drive tours. The difference between the two is explained in detail here. Any of our tours can focus on a combination of mid- range to luxury accommodation​, or only luxury lodges. You name it, we'll organise it with pleasure! We're Tailor Made Safaris after all! The keys are in your hands! Drive yourself - if that wasn't clear enough! More freedom and time for yourself. Travel at your own pace. 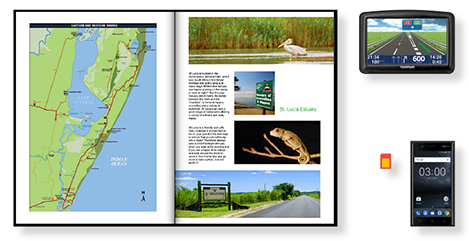 Become an expert at spotting wildlife yourself! Nothing to do but enjoying yourselves! Let your experienced guide take the lead and travel in style. ​Get your questions answered instantly! Experienced eyes on board! Spot even the most elusive wildlife! Any of our tours can focus on a combination of mid-range to luxury accommodation, or only luxury lodges. You name it, we'll organise it with pleasure! We're Tailor Made Safaris after all! Tailor Made Safaris puts together exciting holiday packages to South Africa, Namibia, Zambia and Botswana, and add-on leisure holidays to Zanzibar, Mauritius and Vic Falls. 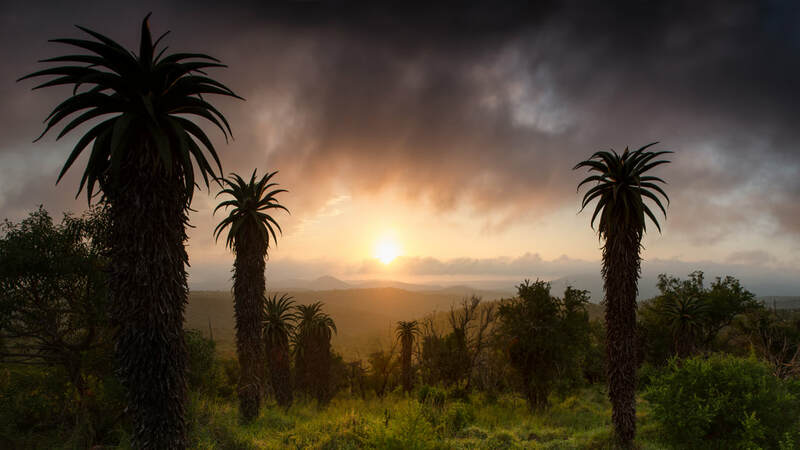 Within South Africa, we specialize in the Greater Kruger region, Cape Town and Kalahari/Kgalagadi region, the Cape and Garden Route, the Drakensberg Mountains and the lesser know Elephant Coast. We're the world's only specialist to cater for holidays to the iSimangaliso Wetland Park, arguably Africa's most beautiful and diverse park! 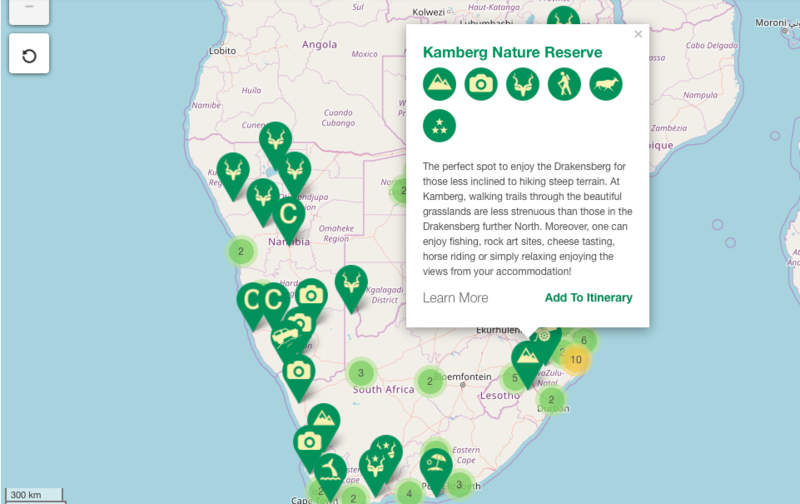 Explore our interactive map and put your own itinerary together with a few clicks of your mouse. Or click on the 'enquire now' button and receive a free non-commital quotation from our friendly sales team! Tailor Made Safaris is proud to offer travellers in depth information about anything travel in Africa or safari related. Where else can you find detailed information about boot space of rental cars? What the best time to travel is not per country, but per region within countries? What to do if the road is blocked by an elephant? 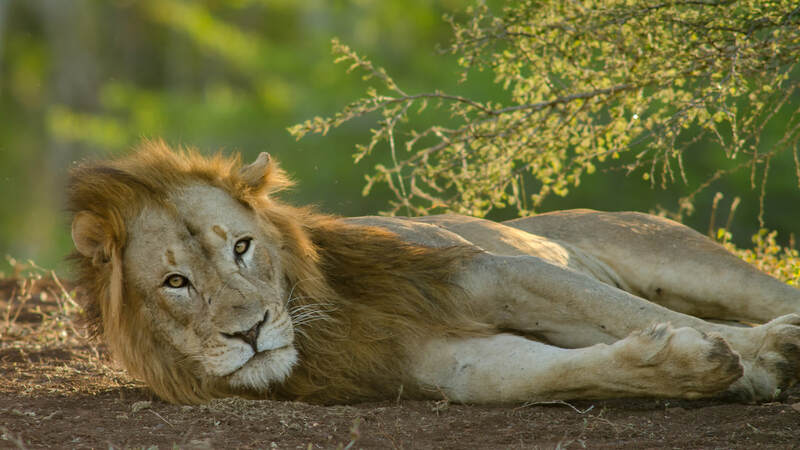 What to expect from a game drive? Suggestions for shopping? Advice which type of binoculars to bring? If by chance you cannot find the answer to your question here, our team will be more than happy to answer your query.